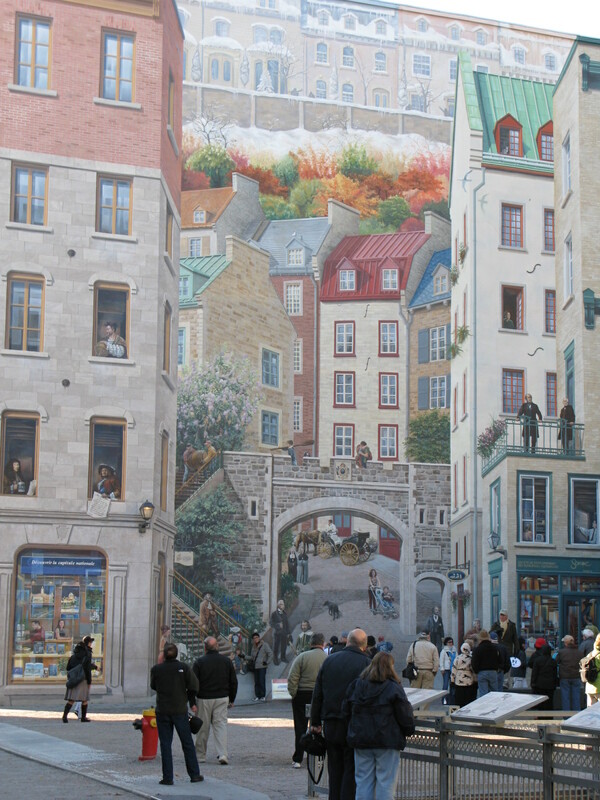 Today we are walking to Haute-Ville, the next layer of Quebec City. 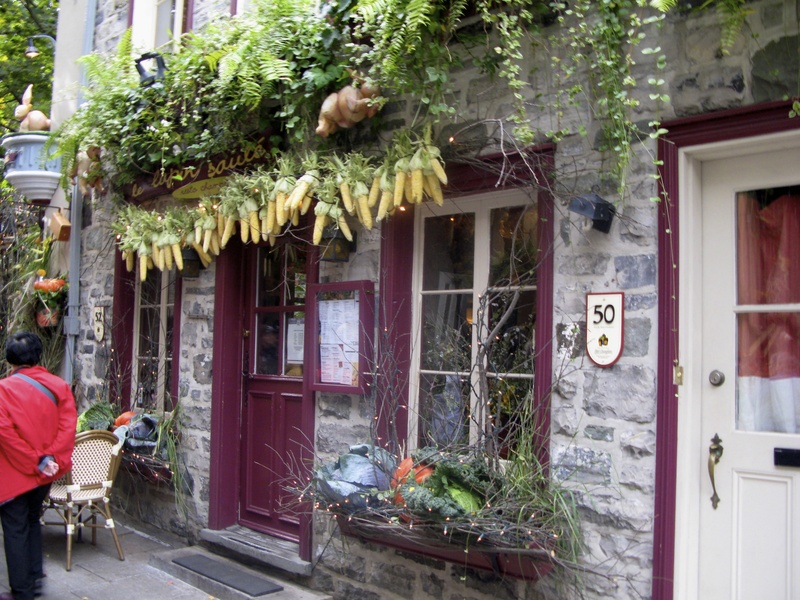 We leche-vitrine (window shop) along the Petit-Champlain passing lovely art galleries and shops, when I am compelled to stop at Pot en Ciel, a delightfully and artistically decorated kitchen ware shop that always seems to have the latest in cuisine accessories, cooking and table ware. 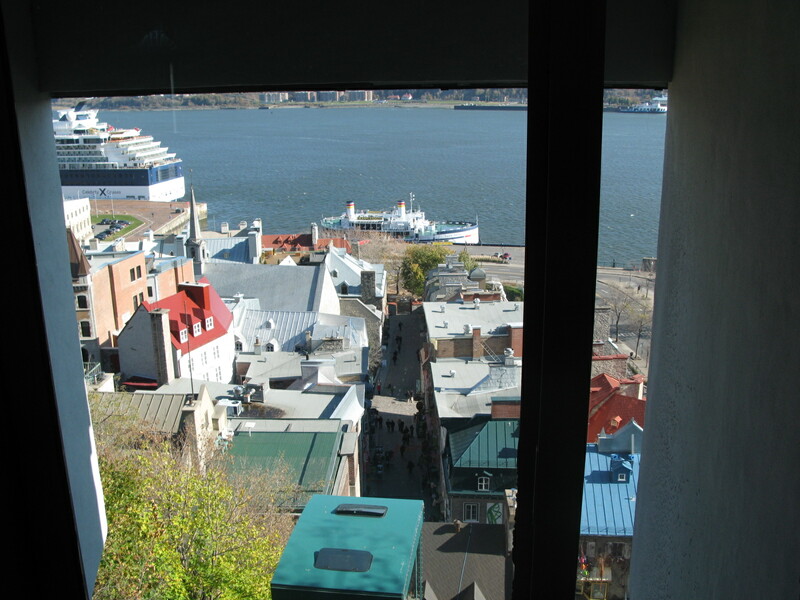 Afterwards, mingling with the tourists from the cruise ships that dock and depart here, we take the funicular to the promenade walkway that is in the front of the famous and majestic Chateau Frontenac, the most photographed hotel in the world, due in most part because of how it dominates the skyline of Quebec City. 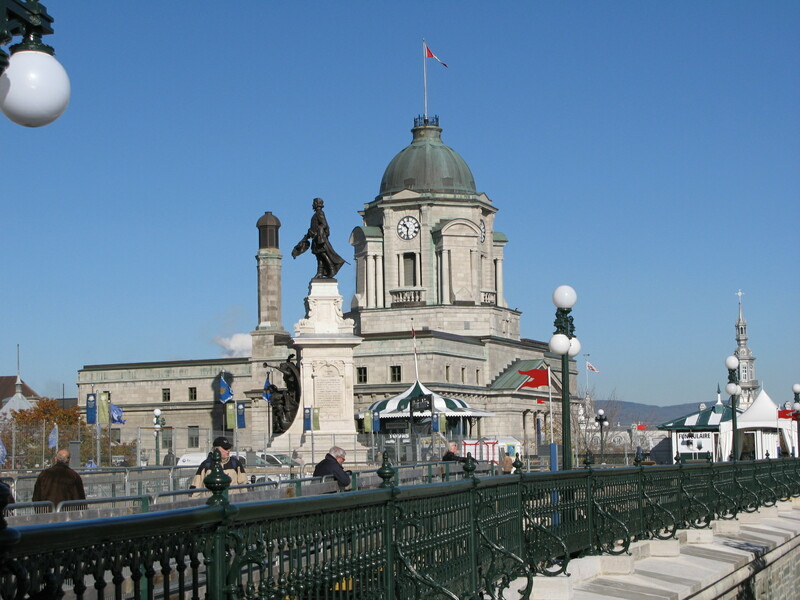 Designed by American architect, Bruce Price, it was one of a series of “chateau” style hotels built for the Canadian Pacific Railway during the late 19th century. 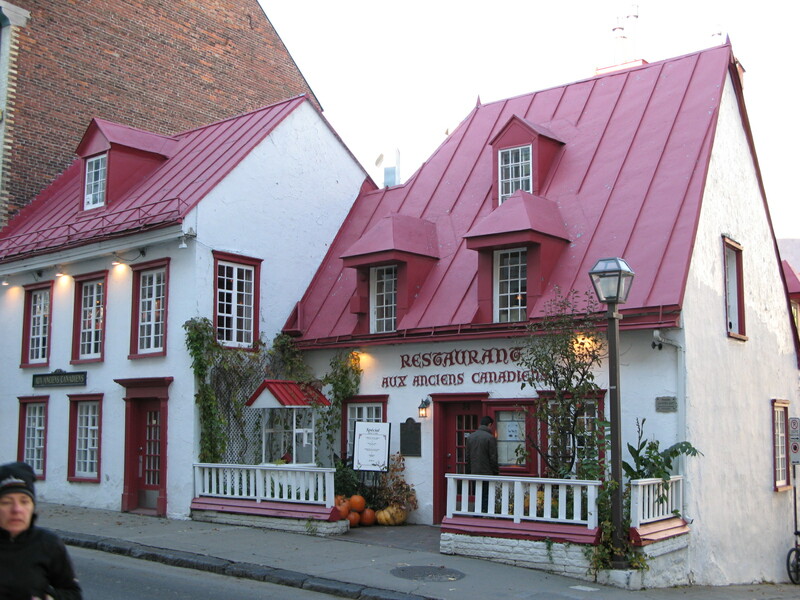 The hotel was named for Louis de Baude, count of Frontenac, who was governor of the colony of New France from 1672 to 1698, with a few years off in the middle. 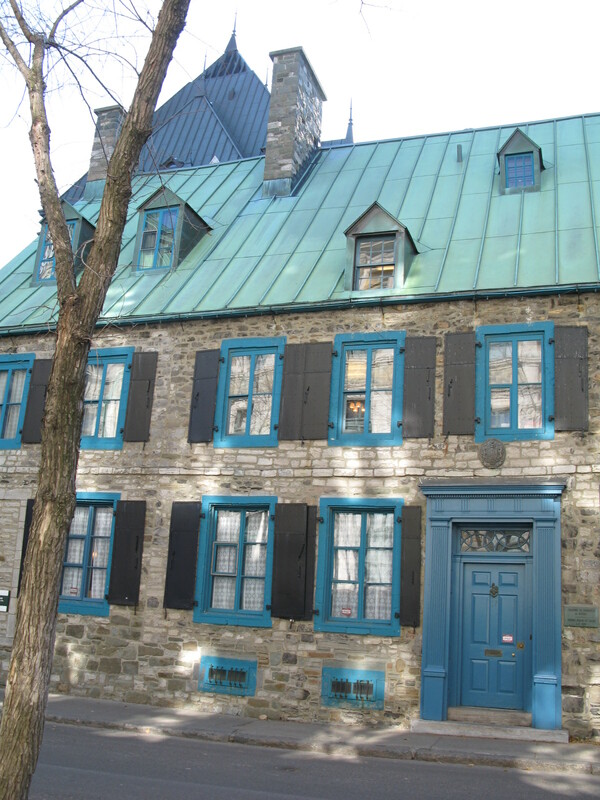 In 1944 the Chateau became the action center of Quebec Conferences of WWII. A tour of the Chateau with costumed tour guides gives you a glimpse into the rooms of “The Who’s Who of Who Has Slept Here” (my term, don’t ask for that as the tour!). The sight is breathtaking. 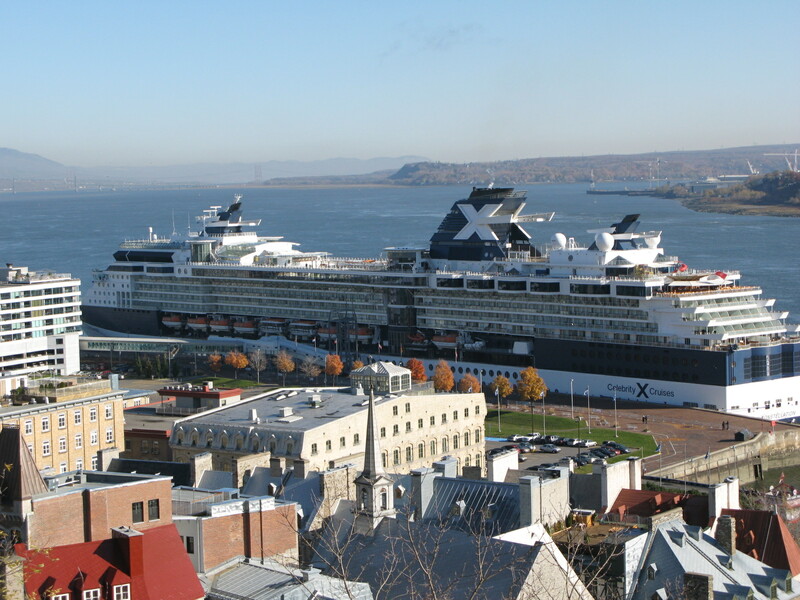 Here artists and musicians reveal their talents as we walk the promenade gazing down at the cruise ships in Vieux-Port and up, up, up at the Frontenec Hotel. 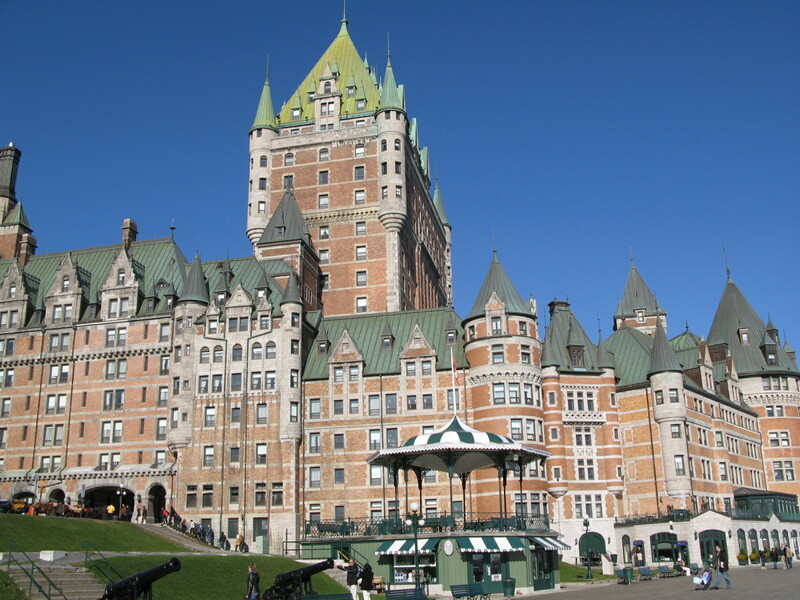 It looks like a castle, but has always been a grand scale hotel. 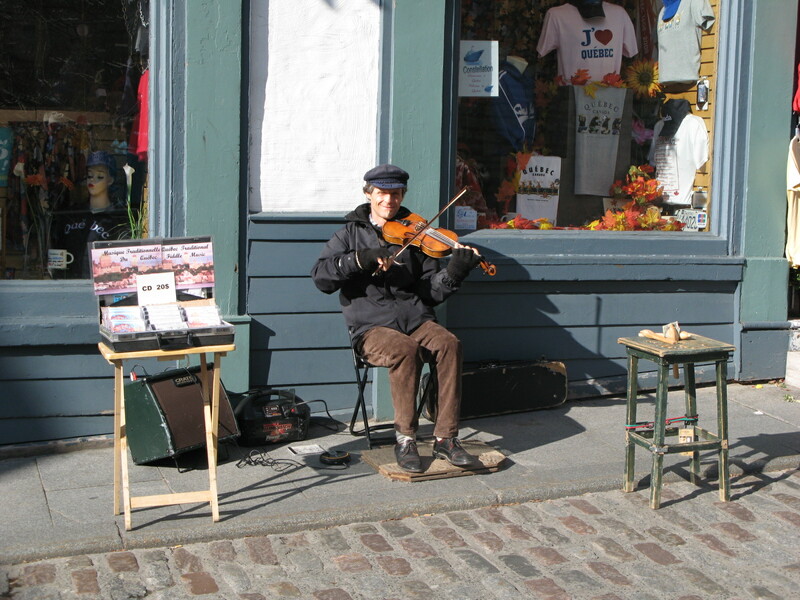 I am sad to say many tourists go no farther than the promenade and surrounding shops and restaurants. 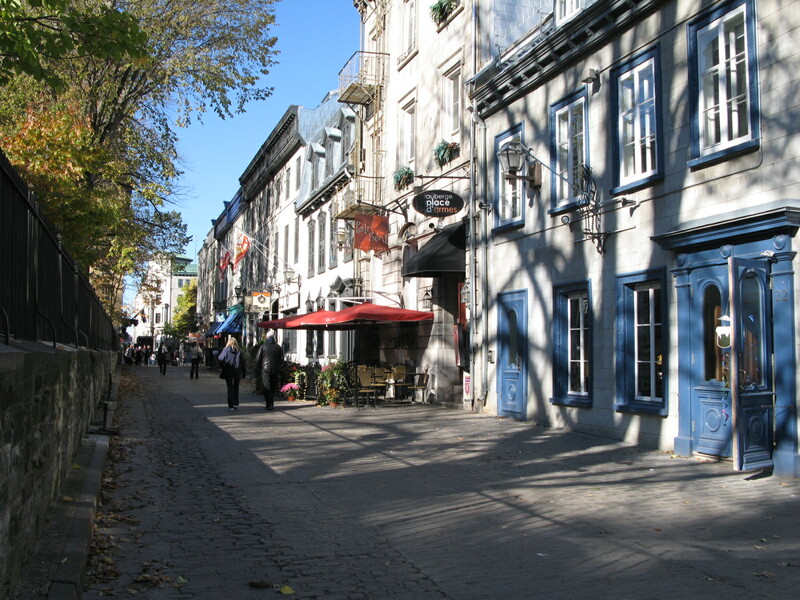 Meandering through the streets we find shops, cafes, restaurants and charming fall displays. 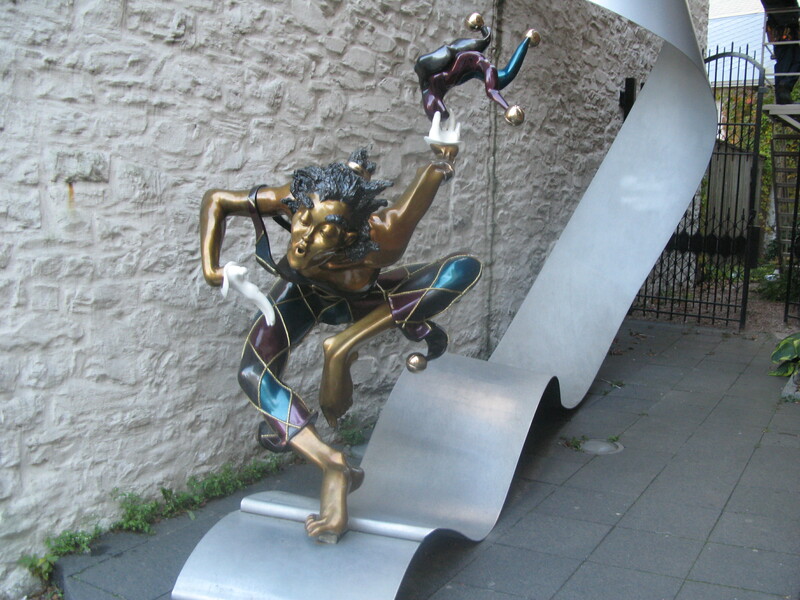 Some make it the tiny rue du Tresor, a small alleyway lined with working artists. 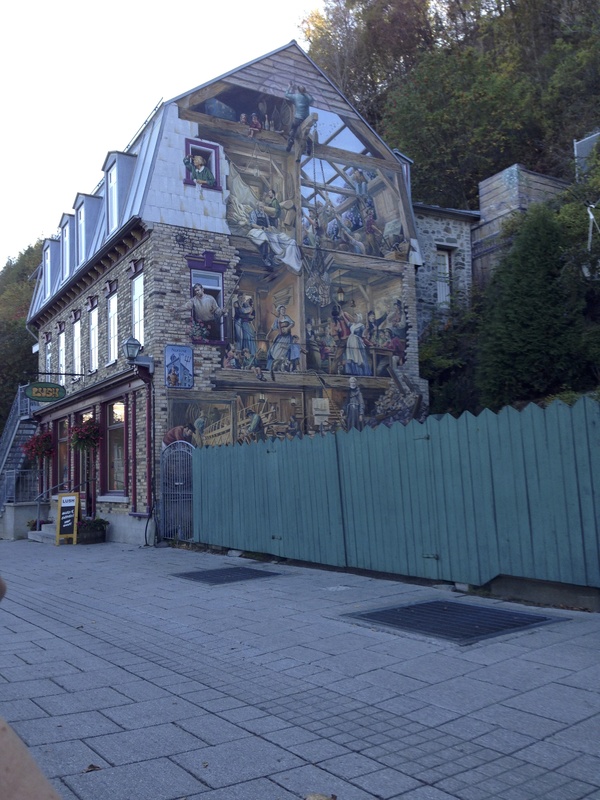 For those who trek on, meandering the winding streets of Haute-Ville there are the Christmas shops, boutiques, plant landscapes and the Morrin Center awaiting you. The Morrin Center is one of my favorite stops. 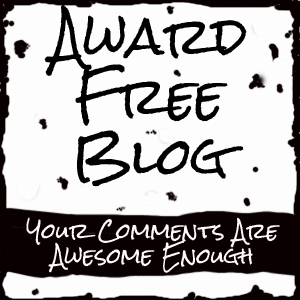 I can’t wait to show you this years decorations and pictures from past years! We’ll start there tomorrow! 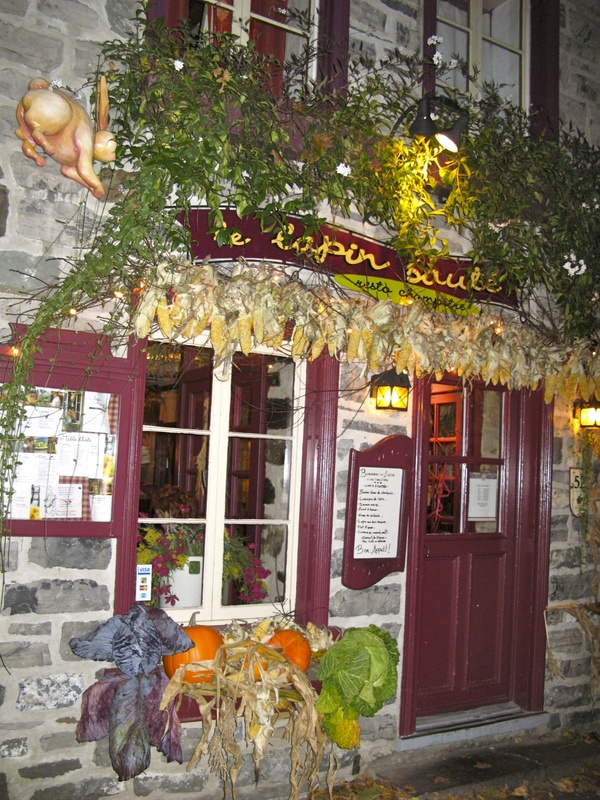 As we finish up the day we return to Vieux Quebec and one of the best restaurants in the quarter, the Lapin Saute, the rabbit restaurant. 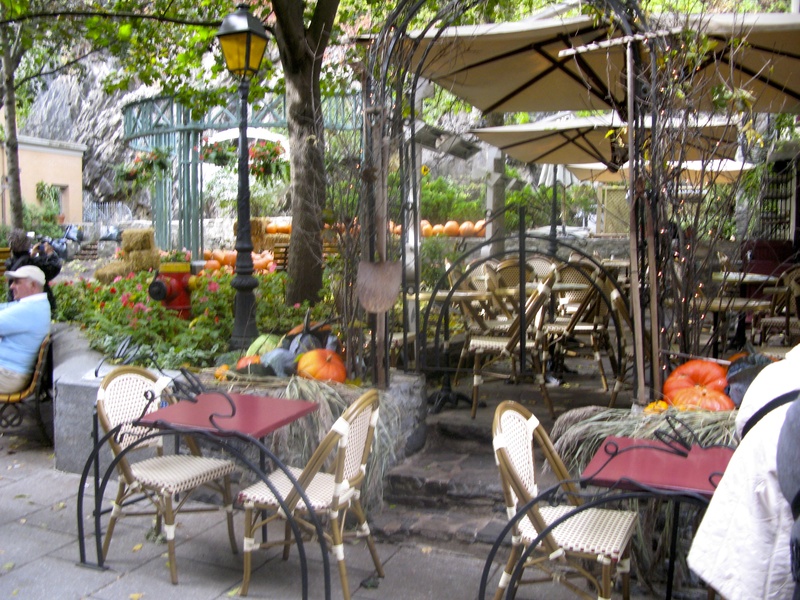 I love the food, ambiance and the outdoor decorations of this restaurant. 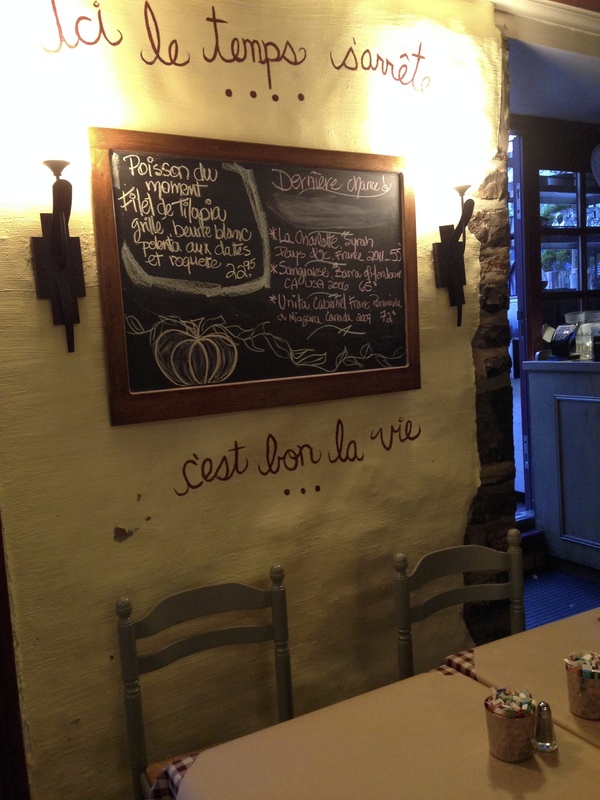 It is truly what you would imagine a French bistro to be! 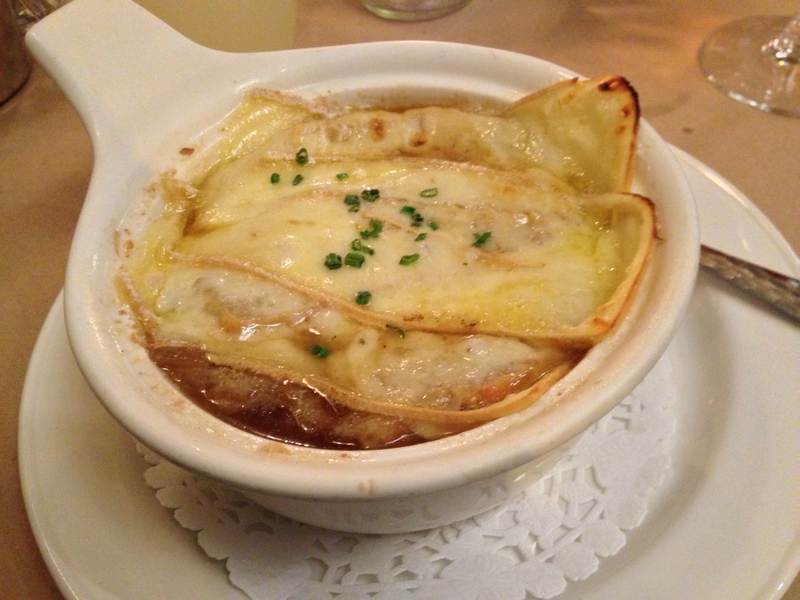 I began my meal with the french onion soup studded with a thick white Canadian cheese followed by the rabbit (french) cassoulet. Absolutely yummy! I was so digging into the cassoulet I forgot to take a picture!!!! 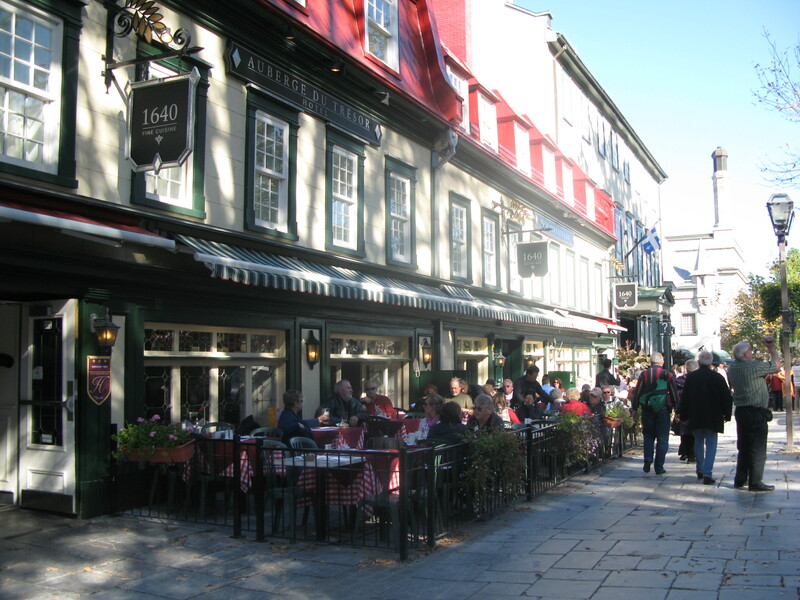 I’m headed back to the Germain-Dominion Hotel and after a mocha night cap I’m off to bed! See you tomorrow at the Morrin Center! 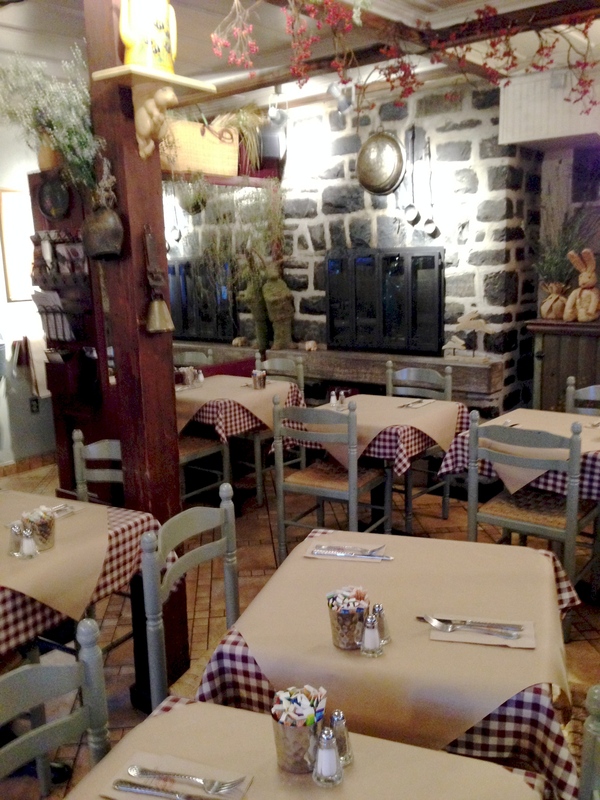 For more information about Pot en Ciel, 27 Petit Champlain, Quebec, Canada view http://www.quartierpetitchamplain.com for a street map of all the shops and restaurants located there. 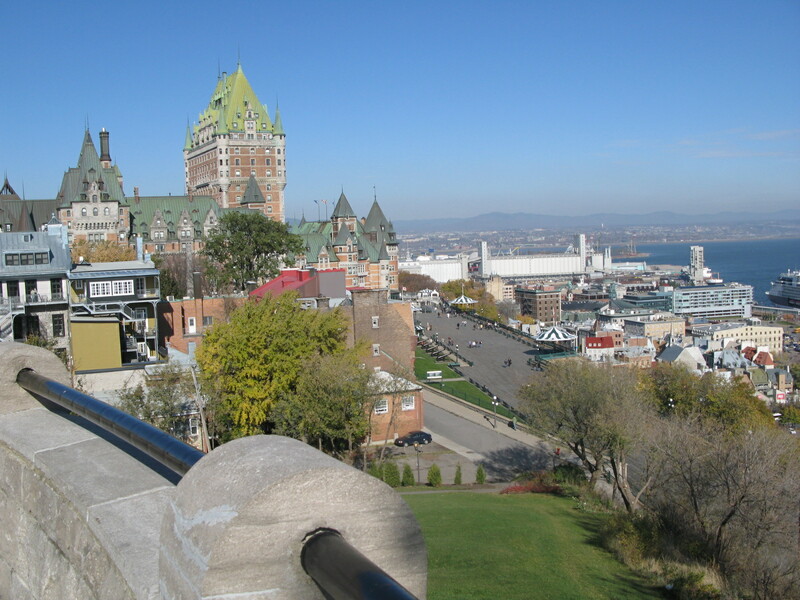 For information on the Chateau Frontenac, 1 Rue des Carrieres, view TripAdvisor. 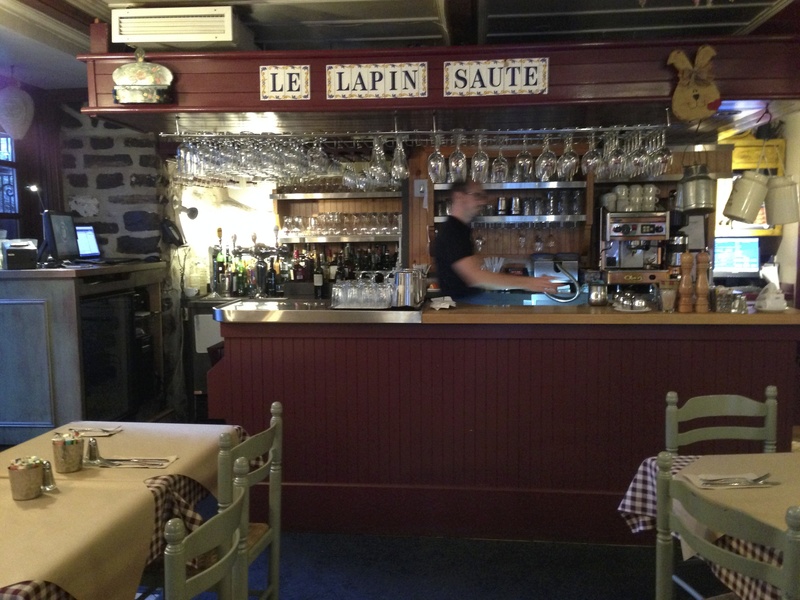 For information on Le Lapin Saute, 52 Rue Du Petit-Champlain see TripAdvisor. 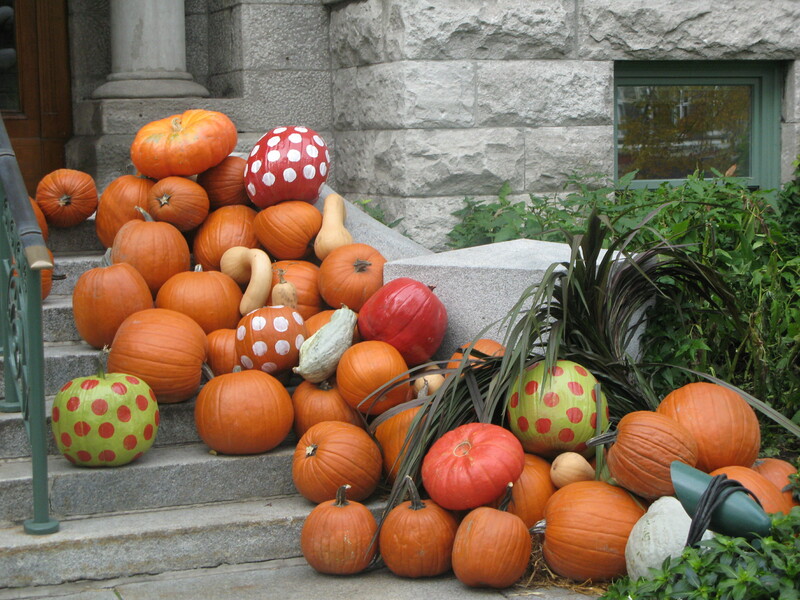 It’s October! 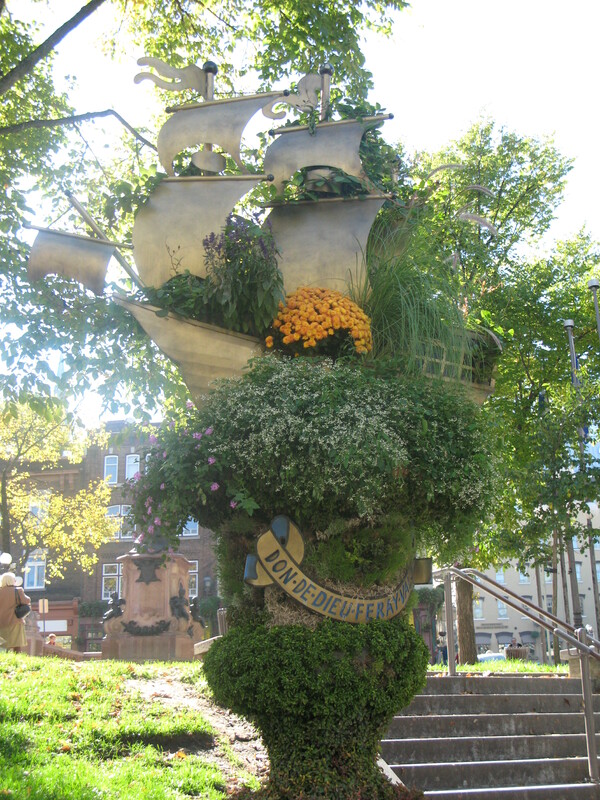 City Hall Decorations in Quebec City, It Doesn’t Get Any Better Than This! 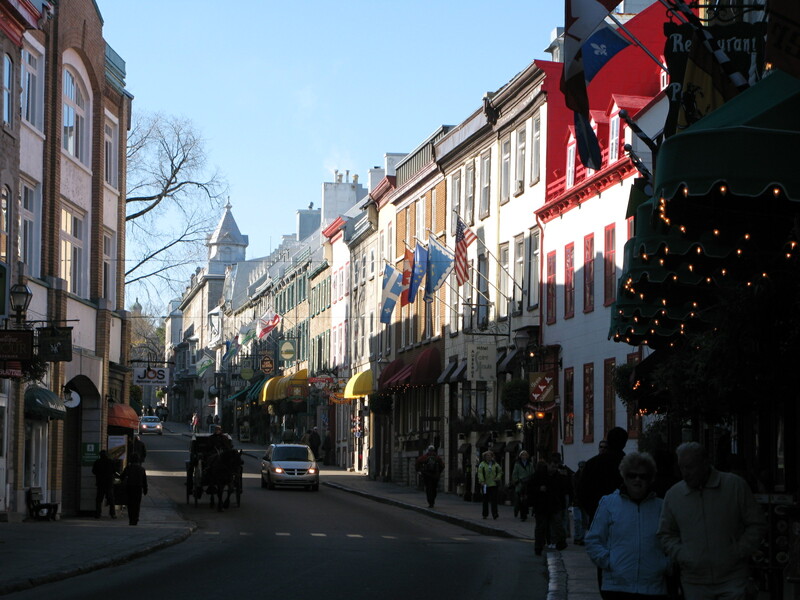 The Most European City in North America!